Were You or Someone You Love Seriously Injured in a Seattle Pedestrian Accident? One of the best things about living in Seattle is how pedestrian friendly it is. The Seattle Department of Transportation even has a long-term action plan in place to make Seattle the "most walkable" city in America. However, there are still plenty of drivers on our streets and because of that, pedestrians will frequently end up as innocent, injured victims in accidents caused by negligent motorists. Were you in a crosswalk when an SUV decided to blow through the red light? Did a car come out of a driveway and hit you on the sidewalk? 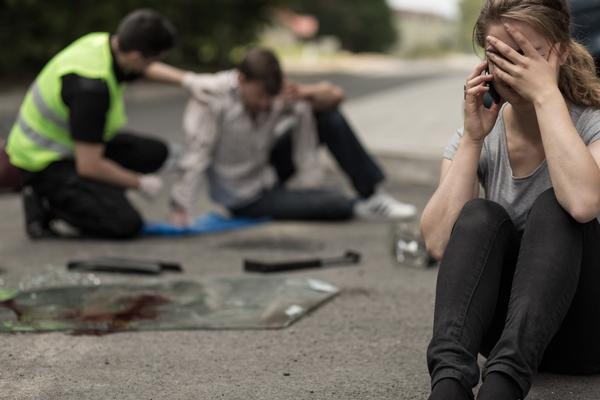 If you were in a pedestrian accident in or around Seattle, the Washington state personal injury law firm of Max Meyers Law is here to help. We know how devastating an accident can be, both physically and emotionally, and we want you to have the opportunity to heal and move forward. Call the office of Max Meyers Law today at 425-399-7000 for a FREE, no obligation consultation. Pedestrian crashes happen more frequently in large cities due to the higher traffic volumes. Rural parts of Washington have their own set of challenges for pedestrians. Rural towns or areas often don’t have sidewalks, shoulders or pathways for safe pedestrian travel. Many crosswalks at intersections won’t be marked. In addition to Attorney Max Meyers' experience with Seattle pedestrian accident cases, he has lived in Western Washington his whole life and knows the challenges pedestrians face in our local cities and towns. Seattle is a beautiful city to explore on foot, but in doing so means that you have no protection from cars, truck, buses and other vehicles that aren't following the rules of the road. It is also alarming how many injured pedestrians we meet that were lawfully crossing the road in a crosswalk at the time of their accidents. Even if you’re not sure you need an attorney at this point, give Max Meyers Law a call. Your first consultation with us is completely free, so even if you aren't going to require legal assistance, we can still give you our professional advice and try to help you get fair compensation for the injuries you or your loved one sustained. Call the office of Max Meyers Law today at 425-399-7000 for a FREE, no-obligation consultation. ?Who Is Liable if a Bus Hit a Pedestrian?